What Would Best Buy Do With Radio Shack? The reports are swirling today that Radio Shack is “exploring strategic alternatives” for the company, the most intriguing of which is a possible merger with Best Buy. But what would that mean, exactly? Best Buy started rolling out Best Buy Mobile back in 2007, and the sub-brand has already been incorporated into every store. But smartphones and tablets and smartbooks are going to be huge business this year and beyond, and the 70-plus standalone Best Buy Mobile storefronts, mostly in malls, aren’t going to cut it. The broad reach and typically smaller size of Radio Shack stores make them ideal candidates for Best Buy Mobile rebranding. Radio Shack’s always been a the place to go for that specific battery or cord that you need. It’s a haven for the granular component, the maker gear for home hacks, in a way that Best Buy just isn’t — Best Buy Mobile even more so. This breadth of product may be something that’s lost in the transition. 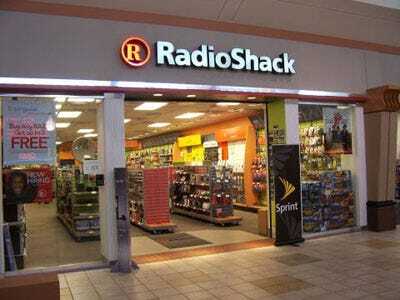 Then again, what if Best Buy was instead influenced by RadioShack? You could get a hybrid store to appeal to consumer geeks and modder geeks in one. What would it look like? A mini Fry’s. We don’t like the Geek Squad. There, I said it. But it’s still a big-time profit driver for Best Buy, and you’d better believe every former Radio Shack will be plastered with Geek Squad signage. And since the smaller store fronts won’t have room for a special Geek Squad section, there’s a good chance each purchase would be met with an annoying referral from a bored sales clerk. Fun times! Radio Shack’s profits have taken a beating from wireless carriers. But Best Buy and Radio Shack combined would have significantly more pull, and would be able to dictate better terms — for themselves. Whether you’d see any of those savings is up in the air, but since (now that Circuit City’s dead and buried) Best Buy’s biggest competition is cut-rate operations like Walmart and Amazon, chances are you would. Again, if anything does happen it’d be a ways off. But if Best Buy gobbles up Radio Shack — which could very well happen — it looks like we may lose more than we’d gain.